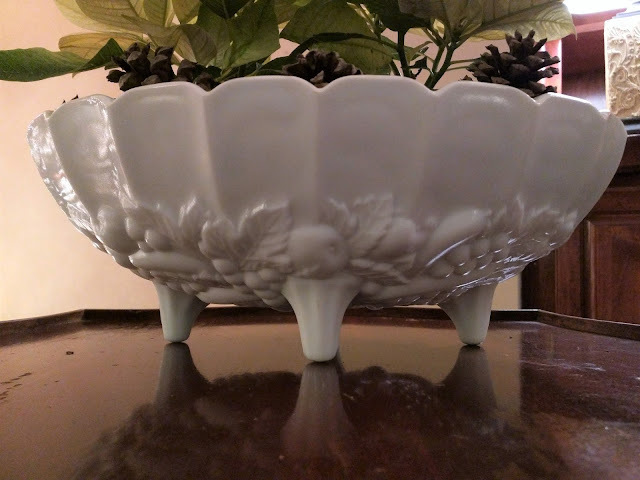 Probably the favorite of my recent loot is this footed milk glass bowl. Not too long after I found the bowl, I was inspired by an Instagram photo using poinsettias. It led me to use it as a planter. 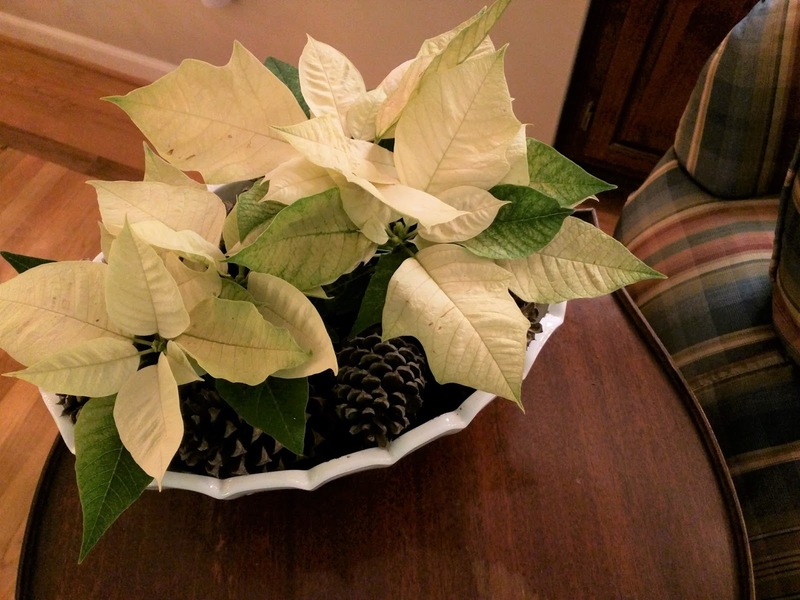 I probably needed one more mini-poinsettia. I had too much room left around the sides, so I just added pine cones from my yard to take up the space and make it look complete. And now that the holidays and the flowers are gone, it's holding apples and serving as a center piece on the dining room table. 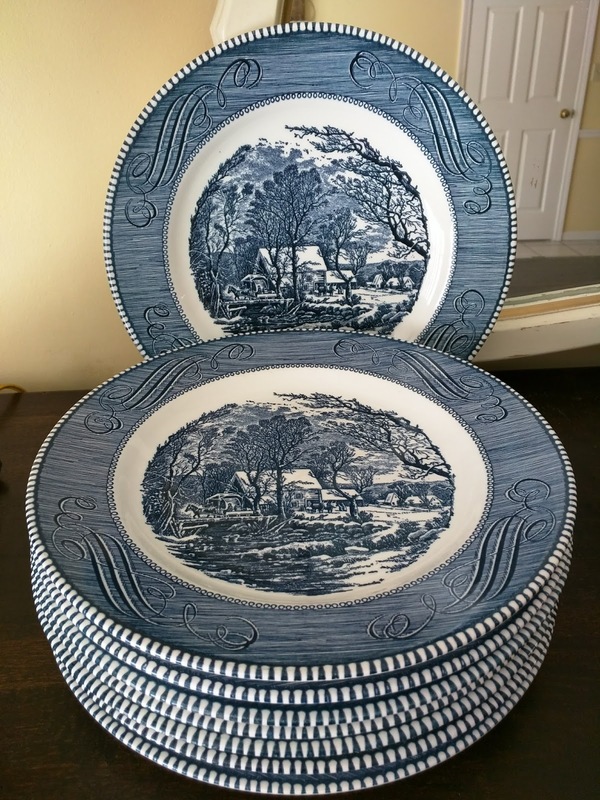 I found a set of eight vintage blue and white transferware plates at the new thrift store I mentioned above. (For my local readers, it's called The Alabama Antique Market.) Can't wait to set a table with them. All 8 were only $16. Over Christmas we rearranged our living room--flipped it completely. I had never had my club chairs by the fire place even though I've always wanted them there. We figured it out and made it work! But the new plan left no room for end tables. 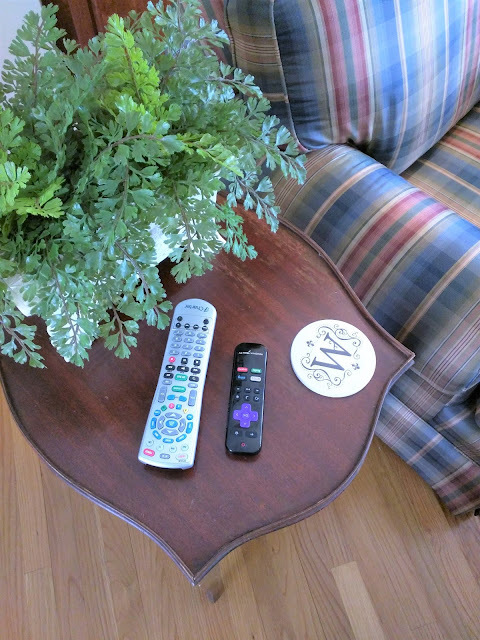 I needed a small accent table for coffee or the remotes. I found this one. It will need some TLC eventually, but for now, it's serving it's purpose. 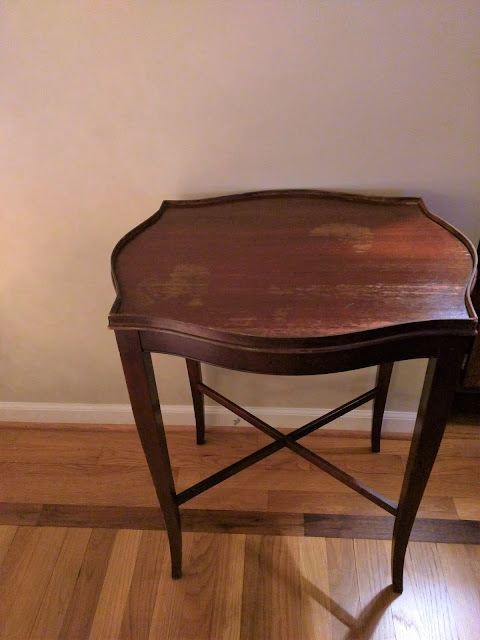 What I like most about these finds is the pieces are timeless. 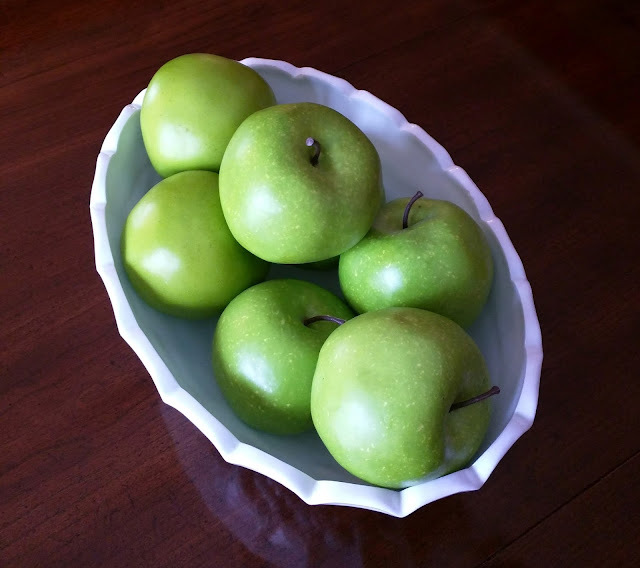 White is always going to work well with any look, and so much more than dining can be done with plates. 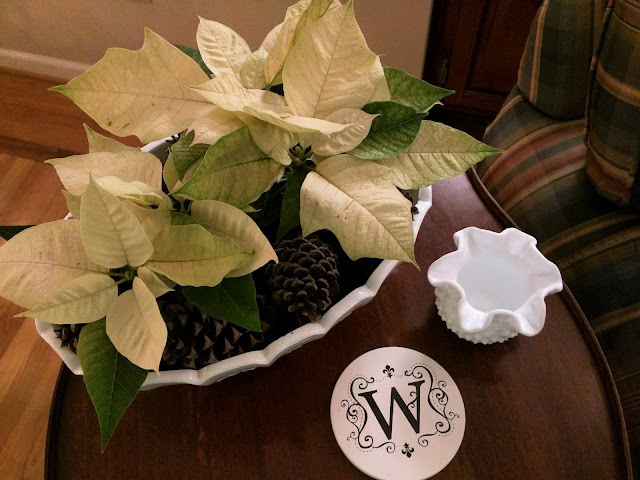 For a few plate decorating ideas read here and here. And the little table, it can be used anywhere. That's it for Thrift Score Thursday. Who knows what I'll find next month! 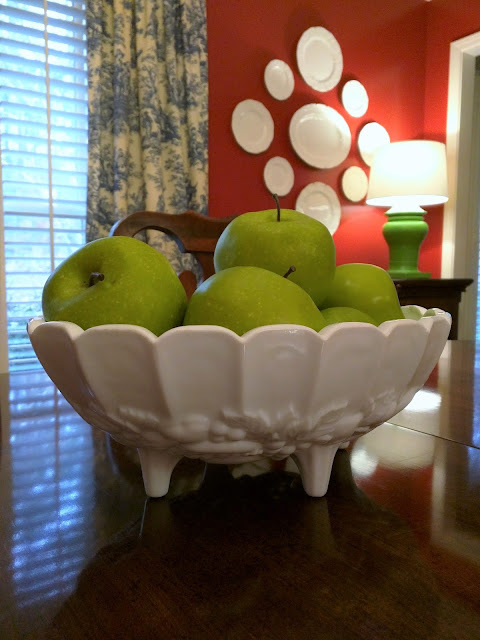 I'm linking up with Kim at Savvy Southern Style. Come check out all the great ideas in her party! Do you have a treasure you've found at a thrift or second hand-store? Share your find in the comments below. Flipping the living room was a good idea. I like it as well.